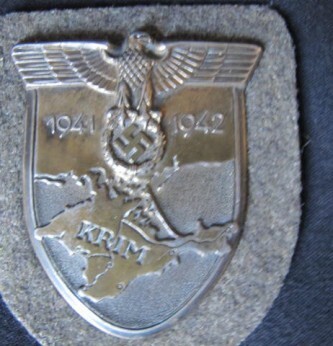 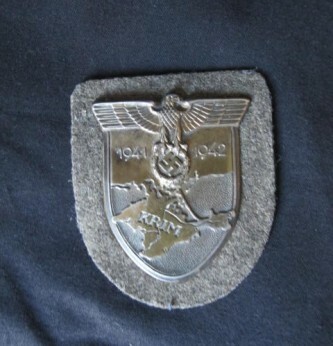 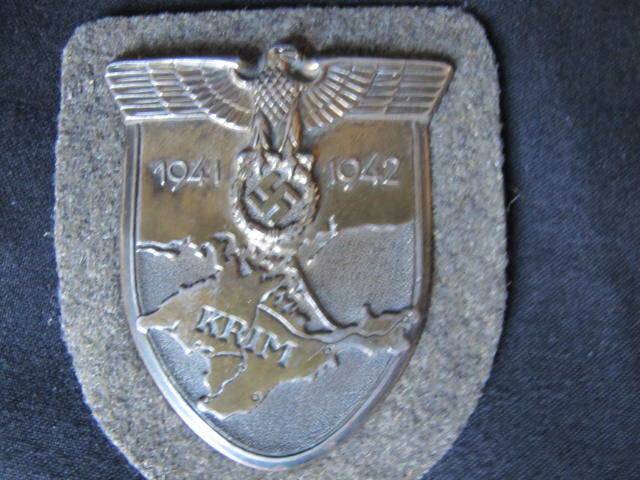 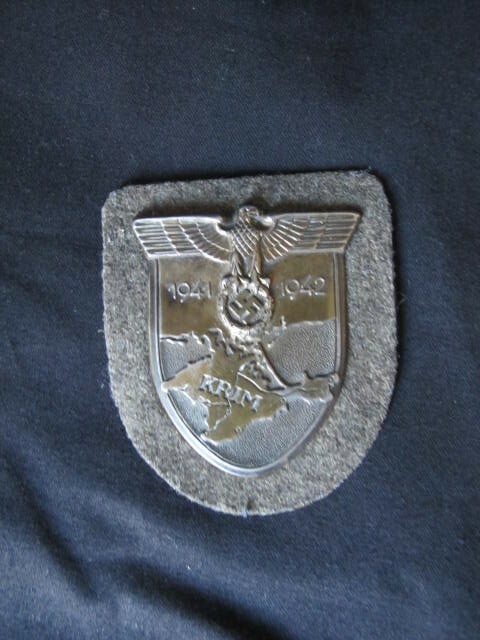 Third Reich Army cloth backed Krim campaign shield. 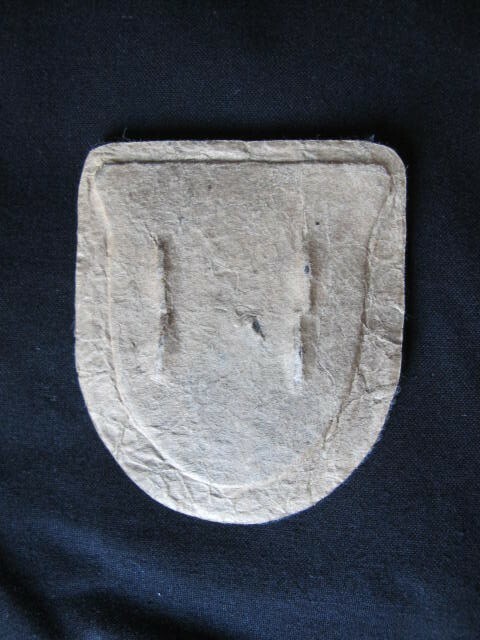 Complete with much original finish to shield. 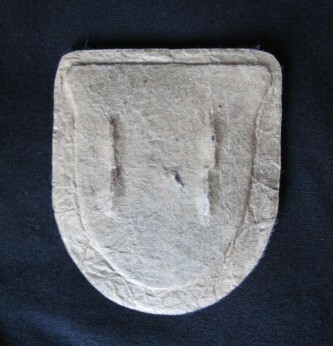 Complete with cloth army backing and paper protection to shield mounts.